My name is Heather. I have lived my whole life with disabilities, but a couple of years ago they became much more extreme. 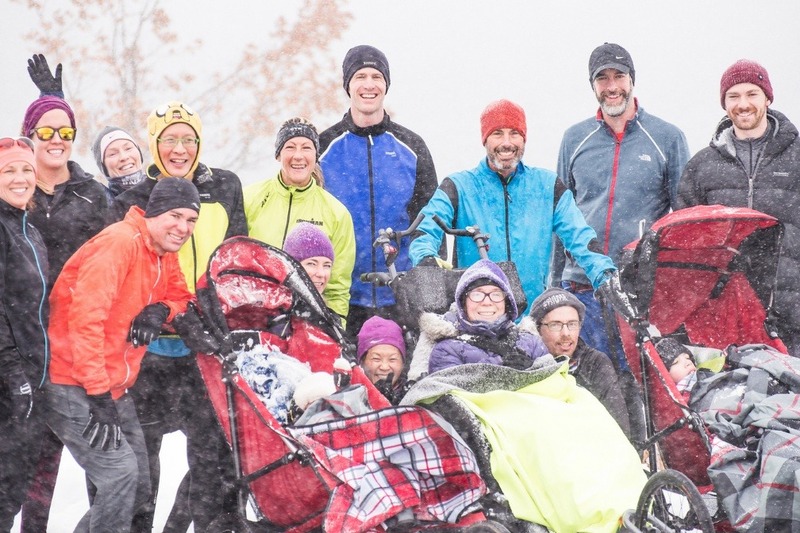 Laying in a hospital bed a year and a half ago I thought my days of being active and involved in our community were over - until one day my husband - Trevor - found out about an organization called myTeamTriumph Canada. 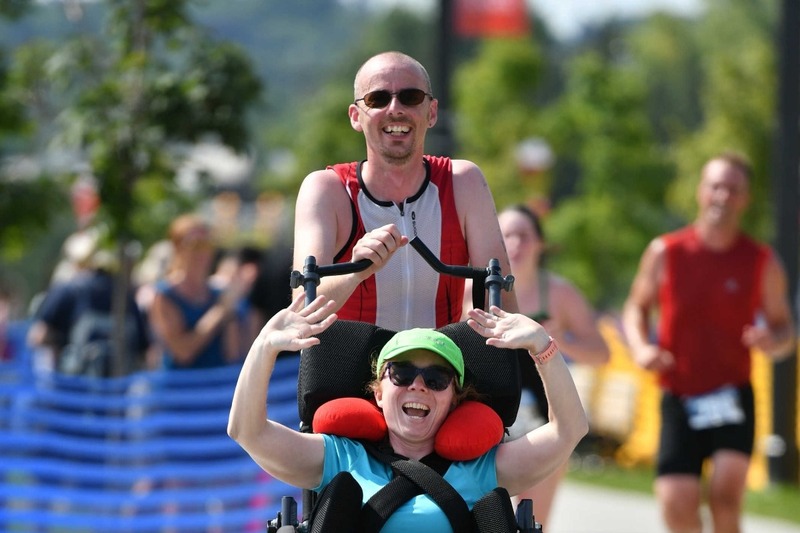 myTeamTriumph Canada provides able-bodied athletes, accessible racing chairs and volunteer resources to make possible for athletes with significant disabilities to participate in 5K, 10K, Half Marathon and Triathlon races. This incredible organization gave us a way to write a new story - of hope and possibility and participation - in the face of significant disabilities, and we couldn't be more grateful! As with all disability equipment, the accessible chairs are expensive. A basic running chair starts at $2000/CDN. Triathlon chairs (like we use) start around $8000/CDN. And even here in Canada, families dealing with disabilities have very limited (or non-existent) access to funds to purchase chairs like these. But knowing what we know now about how much these chairs can improve an individual's quality of life, we know that everyone with a disability deserves the opportunity to participate in an active lifestyle. myTeamTriumph Canada has been working hard to fundraise for chairs, but as with any charity, the process can take time. So we're hoping that our story can help bring hope and possibility and participation to other disabled athletes, by purchasing more chairs for myTeamTriumph Canada. The other thing that is very difficult is finding good information on how this works. For many folks with disabilities, unless they can see an activity in progress, it is very difficult for them (or their caregivers) to adequately assess whether this would be safe for them to participate in or not. It can also be incredibly difficult to dream bigger dreams without good representation. And without a clear how-to guide, getting started can be even harder than it needs to be! So the other thing we want to do is to raise enough money to create a mini-documentary focused on demonstrating the how-to's of accessible triathlon, and increasing people's ability to see themselves being active and participating, regardless of their level of disability. Please help us help others dream bigger dreams, and make those dreams a reality! Hi folks! To limit our loss of funds to fees and to help lend a bit more credibility to this fundraiser, it has been moved over to http://www.mttcanada.org/barrie. All monies raised have been transferred to the account with My Team Triumph. We were able to bring a few chairs up last Saturday to give some local kids a chance to try them out at our 'Wheelie Big Fun Run' which ended up going ahead despite snow squalls! The kids were incredibly thrilled with the experience, and are very eager for us to succeed at our fundraising endeavours! We were also able to get new photos and videos, which will help us with our efforts. To continue to follow this process, please visit http://www.mttcanada.org/barrie. Thanks so much, everyone!